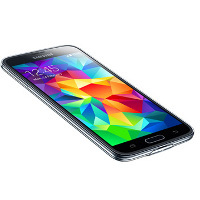 Samsung Galaxy S5 is equipped with a camera module, high-speed network connectivity, dedicated tools for sports enthusiasts, as well as improved security smartphone. Strengthening the squad and precious memories memory is one of the most important functions of today's smartphones. GALAXY S5 has a 16 megapixel camera with an extensive menu and user interface so that any user can easily make, edit, and upload photos. Remember that entered PIN on the website must be exactly the same as PIN entered in the setup program on your Samsung Galaxy S5.